The book is based on the author's PHD thesis completed in Australia. 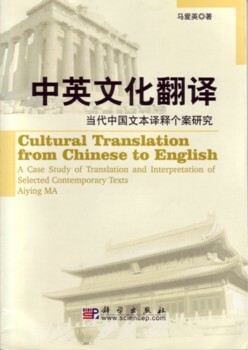 It argues for an "extended (cross-) cultural approach to literary translation". It proposes that socio-cultural elements pertaining to a literary text extend beyond the commonly understood scope and depth of literary translation into the macro-contextual sphere, as they arise before and after, as well as during, the actual translating process. These elements include those in the forms of everyday existence of people and their behaviour, reflectd through the common human values and shared knowledge that is always structured as part of a historical system, constantly changing and evolving under the impact of social, political and economic events. To achieve the best result possible, it is also conteneded that seemingly opposing translation strategies (i.e alienation/foreignisation strategy versus adaptation/domestication strategy) should both be made use of and the orientation and emphasis should vary from case to case according to the purpose of the translation projet, the needs of the intended reader, the text-type, stylistic profile, lexical and cultural quality of the item to be translated, and last but not least, the strengths of the translator.